It might sound simple, but the first step to getting out of the fashion rut might be cleaning out your closet. So, if I had a before picture, I would post it. But thankfully I don't! 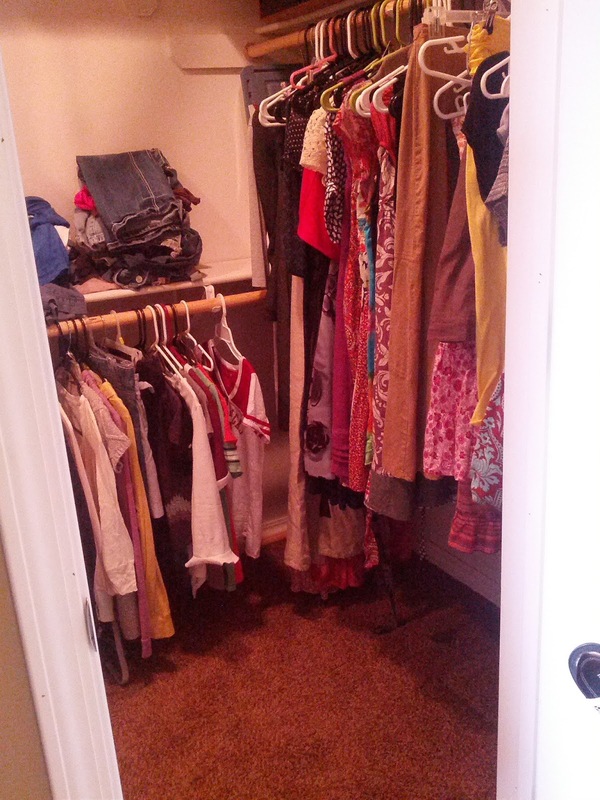 You rarely could see the floor in our closet with all of our stuff in there. 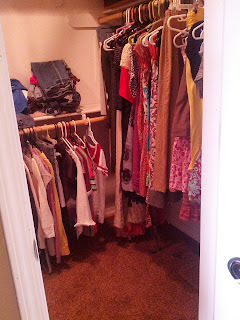 Also, all my clothes were on the far end of the closet, and my husband's were right by the door. The problem with this is my husband rarely used the clothes in his closet. While I was constantly stepping on and over clothes and junk to try and see what I even had in there. So....I cleaned out that closet and as a result I could finally see all the cute stuff I never wore! I separated the sweaters from the cute summer dresses and skirts. The end result looked like this. And I started to think, "maybe I should do something to get out of my fashion rut!" Step 1: know what you have and decide to use the good stuff!